This is a perfect example of what I've been talking about. 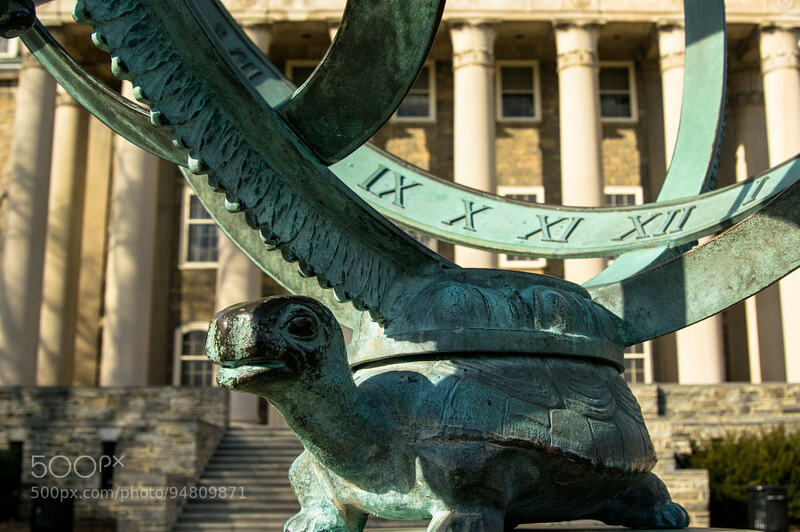 Imagine you go to a school for four years, and in front of the main building of this school (the building is actually called "Old Main") is a statue of a turtle with some kind of globe/sundial thing on its shell. Four whole years, plus many visits since then, and either you don't notice this thing, or if you did, you don't remember. If you can miss The Great Turtle (what this myth is called by the Lenape Indians, one of several cultures that has some variation of this), just imagine what else you are missing.